I visited Fareham store urgently needed snow boots for a ski trip tomorrow! They didnt have the size I needed but was so helpful and tracked down a store where they had stock. Lovely lady at Fareham. Waterlooville store also fab, knew who we were as soon we got there. Great service, thank you so much.. saved my daughter from freezing feet ?? very tidy store lots of choice but not much room! The staff clearly tidy frequently during the day as it is always tidy. 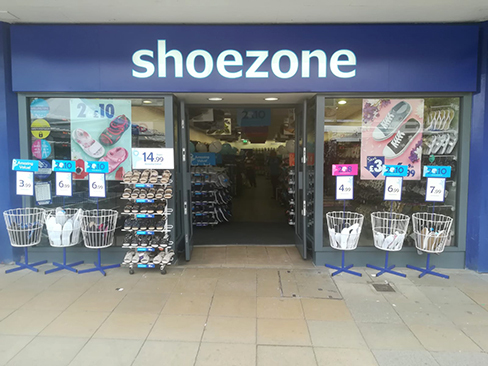 This is one of the better Shoezone stores in the area for assortment and staff.